Humanity thrives when people work together. An “Intentional Community” shows what happens when people take this premise to the next level — by living together in a village of their own making which reflects their shared values. Intentional Communities come in many shapes and sizes, and go by many names. This includes cohousing, ecovillages, cooperative houses, communes, and so on. We believe there is strength and beauty in this diversity, and our aim is to support it. IC.org exists to serve this community movement. We offer tools, resources, and information to find, start, or join an intentional community, and to make the most out of your community project. 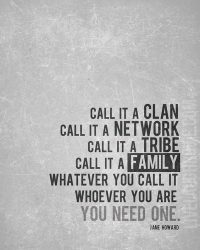 Let’s bring people together, to help them find and build dreams with their clan, tribe, group — or community! Please Support Our Work and/or Get Involved.